At Cali Bamboo we work hard and play hard… meaning on Monday morning there’s often an employee who’s just made the drive back from Las Vegas. During a recent Vegas story-swapping session, two of our own realized they’d both happened upon the same store in the swanky Mandalay Bay shopping center. Of all the glitz the Strip has to offer, this store stands out for one major reason — bamboo. Cariloha Bamboo is a literal bamboo extravaganza where the woody grass is celebrated in all its forms. The chain specializes in apparel and bed linens made from super-soft bamboo fabric but also offers bamboo jewelry, home decor, handbags, cutting boards and more. The bamboo fibers in their clothing actually keep the wearer drier and 3 degrees cooler than cotton. This is a nice perk considering many Cariloha stores are dotted throughout the Caribbean on Grand Cayman, St. Lucia, Puerto Rico and other hot, tropical getaways. The store itself is designed to educate shoppers on the wonders of bamboo. “Did You Know” bamboo facts adorn the walls, and there’s even an interactive mural where visitors can measure and compare their own height to the fastest growing plant in the world (some species grow 4 feet in a day!). And what bamboo clothing shop would be complete without a bamboo floor? Sure enough, the majority of Cariloha stores (there are 18 around the globe and more opening all the time) feature Cali Bamboo’s organic mocha bamboo floors. So whether it’s the shirt on your back or the floor beneath your feet, bamboo’s sustainability is growing more accessible and stylish by the day. Time to join the revolution! 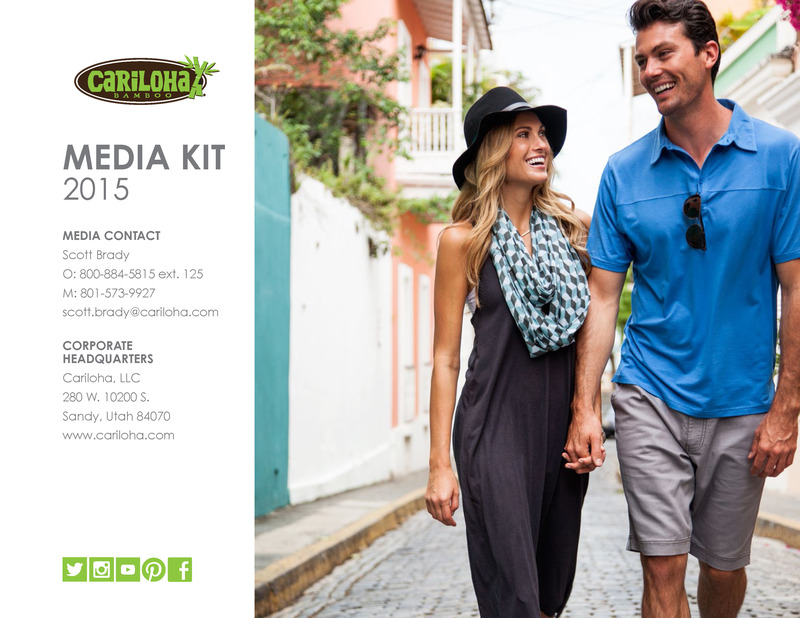 Find the Cariloha store nearest you (or your next vacation destination!) here. This entry was posted on Tuesday, April 3rd, 2012 at 6:35 pm and is filed under April 2012.